Just received icarscan device, and downloaded iOS app. It is called “EZdiag” in the app store. I am trying to decide which pieces of software I should download and looking for feedbacks, especially from OBD2TOOL or those who have used it. I am able to pick 8 free, and in addition to manufacturers, these are available. I have to choose all 8 before I can actually start using any one of them. I am choosing Porsche (14 CD & 10 GT3), BMW (97 M3), RESET OIL, but what else could be useful? Then I could select from 5 manufacturers. I’m guessing the 3 “RESET” ones that were enabled when I downloaded the Android software are similar to what you’re being offered. Thing is – I’ve never used these. 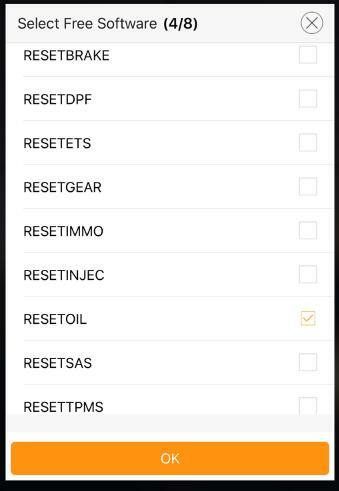 The Launch ICARSCAN has all the abilities for resetting brake, oil, SAS and lots more built right in. 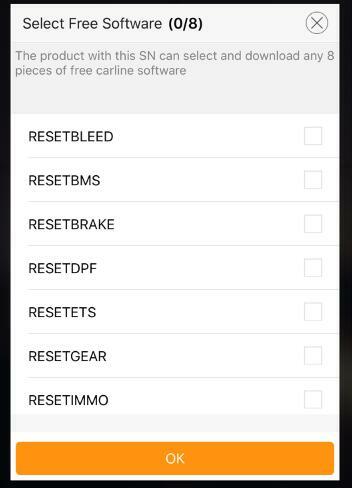 I guess these resets are for a generic OBD-II service on a vehicle that you haven’t purchased the manufacturer’s software. Mine recently went past the 1 year date for the software. What appears to have happened is the software I already downloaded remains enabled and working. There isn’t an option to download any others – but I expect this could be done via the website. If a newer version of the Porsche software comes out and it has anything really significant different – I’ll explore that. Right now – I’m happy with what I have. I’m surprised you have to pick all 8 before any start working. It wasn’t that way with the Android. I only selected the final manufacturer I wanted about a month ago – doing it before the 1 year expiration. At first I just had the Porsche software and it worked fine.